This lecture is devoted towards the understanding of the Brain Development. The key focus of section one is on the Brain Flexures. 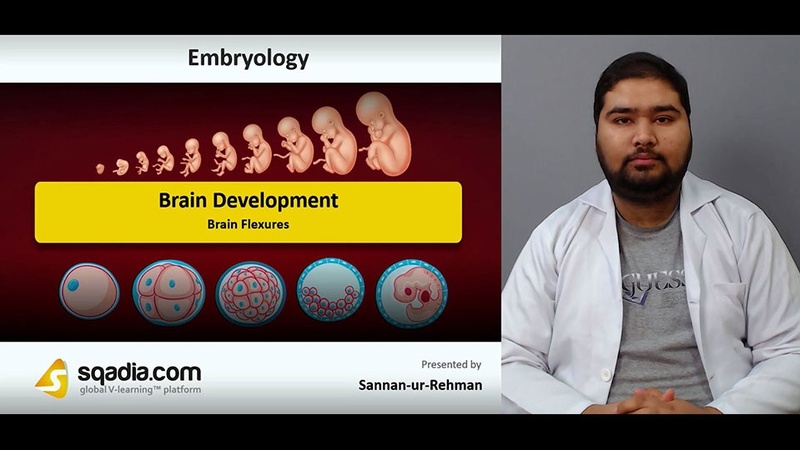 The educator started off by talking about the Development of Brain. Following this, Adult Derivatives of Brain Vesicles have been presented in a tabular form. In addition to this, Flexures of Brain and Pontine Flexure has been shed light on. In the end, the educator concluded by speaking about the Cervical Flexure and Cephalic Flexure, respectively. Second section emphasizes on the Ventricular System. In the beginning, Development of Ventricular System has been conversed about. Subsequently, Cerebrospinal Fluid has been brought under discussion. Conclusively, the educator has winded up by mentioning about the Clinical Correlation including Hydrocephalus and Dandy–Walker syndrome. The chief focal point of section three is the Hindbrain. At the start, Hindbrain (Rhombencephalon) has been communicated about. Succeeding this, Hindbrain Development and Functional Columns of Gray Matter have been brought under an extensive debate. Moreover, Developing Fourth Ventricle and Cerebellum has been discussed as well. In the end, the educator has alluded to another part of the brain termed as Cerebellum. Section four aims at talking about the Midbrain. Initially, Midbrain (Mesencephalon) has been described. Secondly, Midbrain Development has been spoken about. In the end, the educator wrapped up by bringing Midbrain (Mesencephalon) under dialogue. Section five of this lecture accentuates the Forebrain. First and foremost, Forebrain (Prosencephalon) has been referred to. Furthermore, Hypophysis Cerebri and Pineal Gland has been expounded. Besides this, Telencephalon has been comprehensively stated. Finally, the educator has reported about the Development of Corpus Striatum and has brought Membranes and Meninges of Brain under discussion, correspondingly.